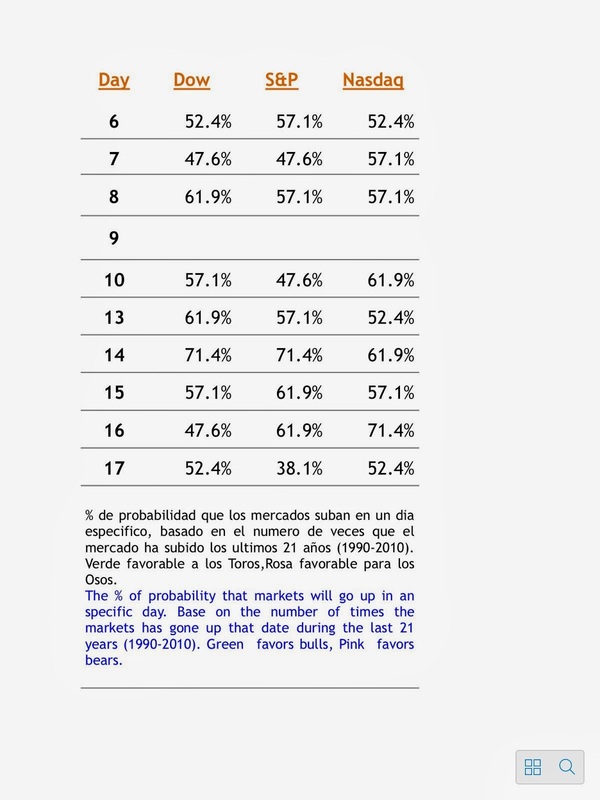 Mencionábamos aquí en la pre-apertura de los mercados los niveles importantes para el EMini (ES). Anexamos una gráfica actualizada. Hasta el momento el EMini ha respetado el nivel de 1395, si es excedido hay poco soportes en su camino a una caída importante (1392 y 1389 ). El camino alcista se ve mas difícil, con 1401 jugando un papel muy importante y varias resistencias en el camino. Suerte !. We mentioned here at the pre-opening the key levels for the EMini for today. Attached an updated graph. 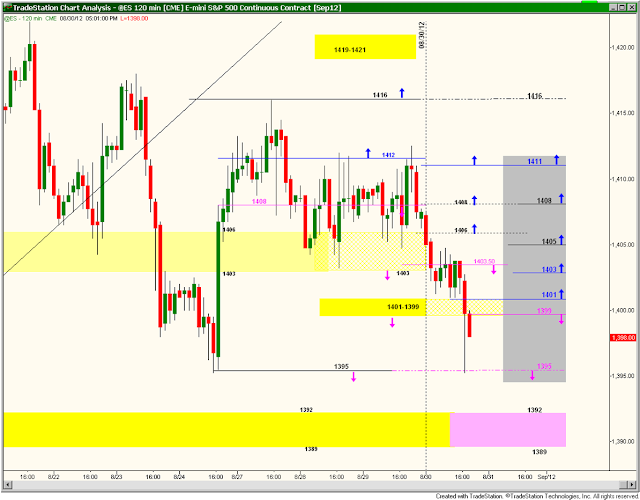 As expected the E Mini has hold the 1395 level, but there is few support below it, we can see 1392 and 1389 only. They way up looks much more difficult, and will be determined by the upward breakout of 1401; but as you can observe in the graph there is a number of important resistance levels. Good Lucks !.